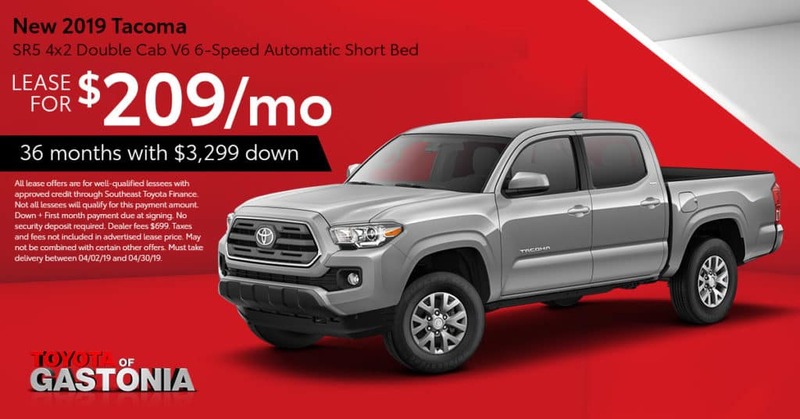 Thinking of bringing home a new Toyota? 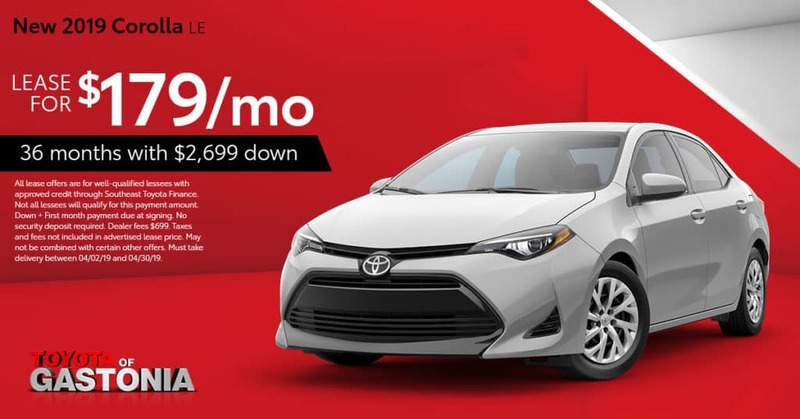 Toyota of Gastonia makes it easy with tons of great special offers for leasing the Camry, Corolla, Prius, or any other model you’ve been thinking of. 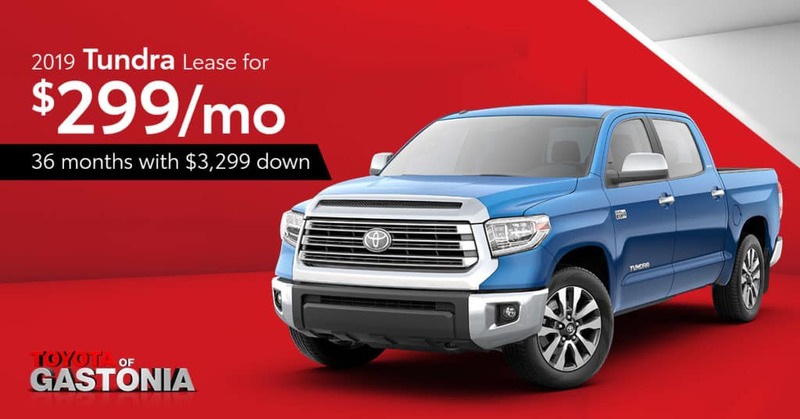 The current Toyota lease deals keep your monthly payments affordable, offering you the flexibility you want at the end of your lease. 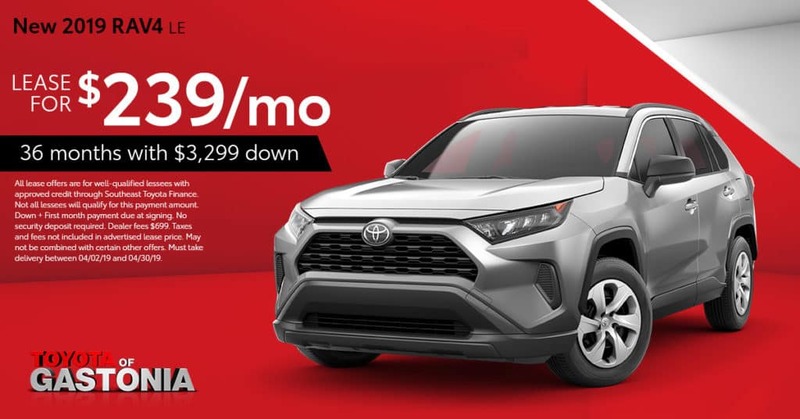 Check out these great lease deals going on now, and when you find the deal that’s right for you, schedule a test drive at Toyota of Gastonia, or contact our Finance Department to get into your ride! 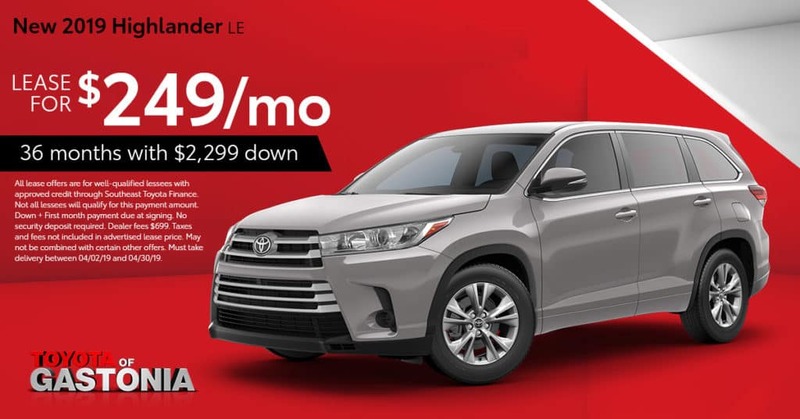 All lease offers are for well-qualified lessees with approved credit through Southeast Toyota Finance. Not all lessees will qualify for this payment amount. 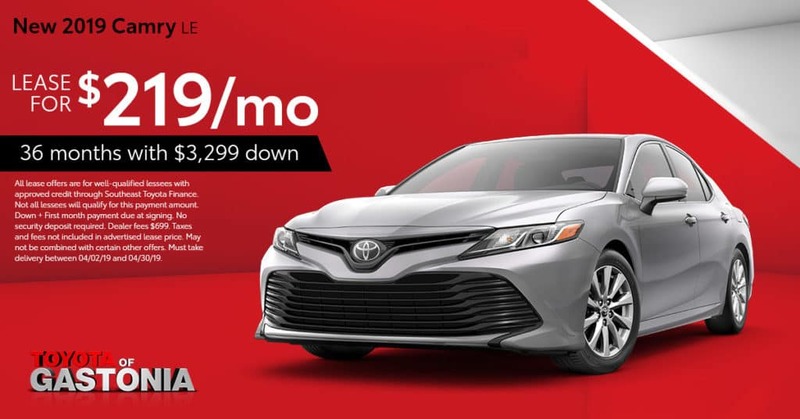 Down + First month payment due at signing. Security deposit, taxes and fees not included in advertised lease price. May not be combined with certain other offers. Must take delivery between 04/02/19 and 04/30/19.